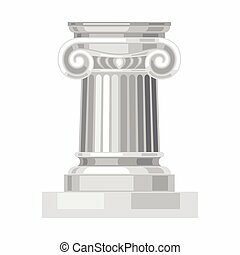 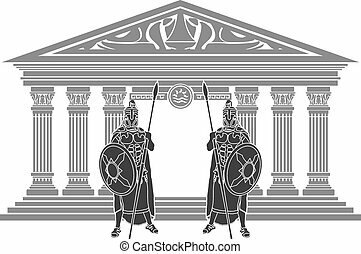 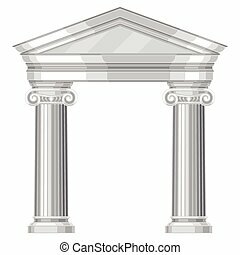 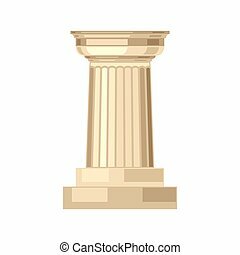 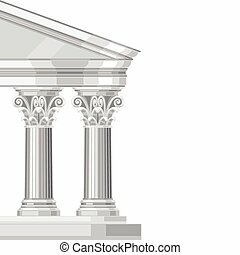 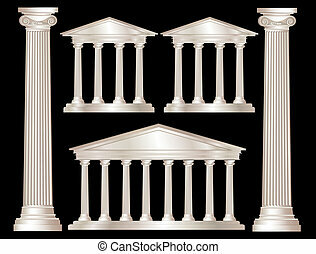 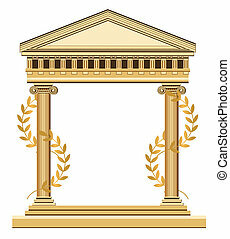 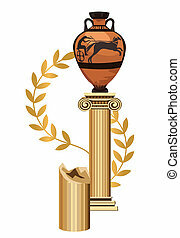 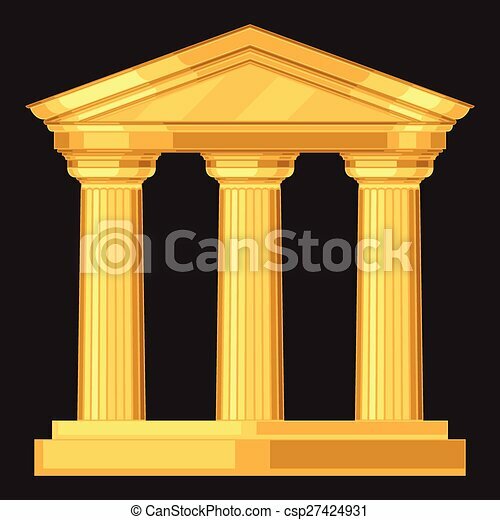 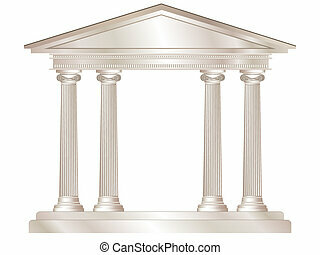 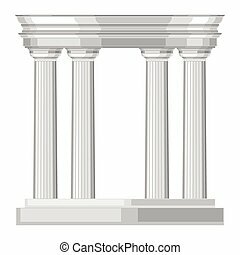 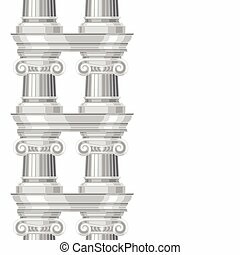 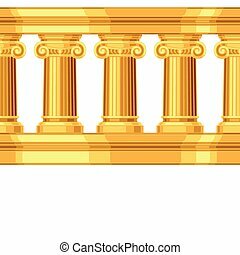 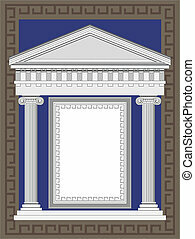 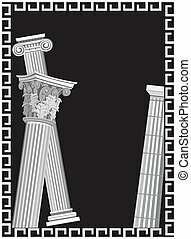 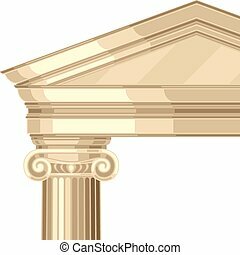 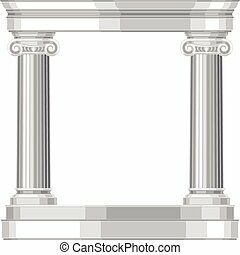 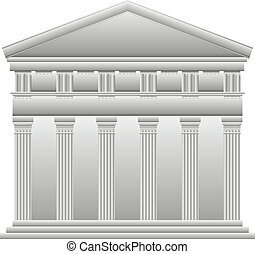 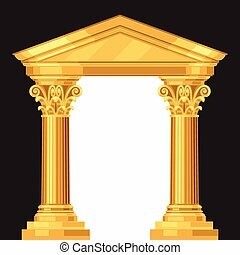 Doric Greek temple on white background. 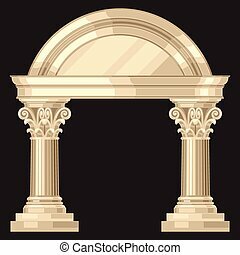 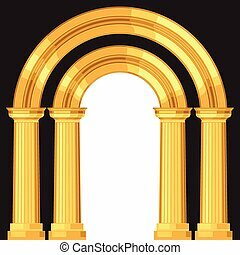 Doric realistic antique greek arch with columns. 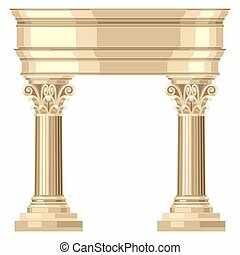 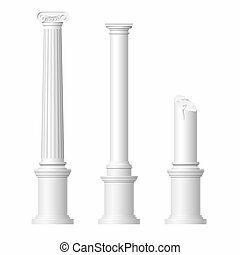 Doric realistic antique greek marble column isolated. 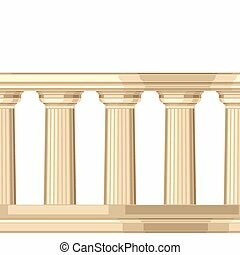 Seamless pattern with doric antique greek colonnade. 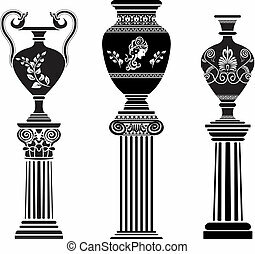 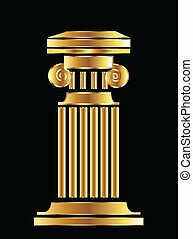 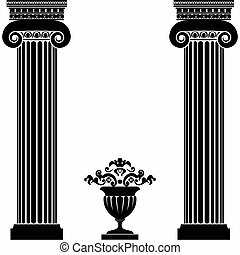 Ionic realistic antique greek marble column isolated. 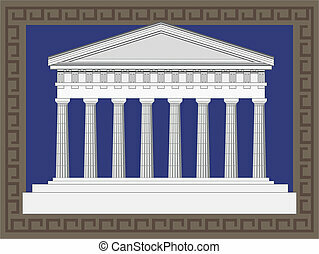 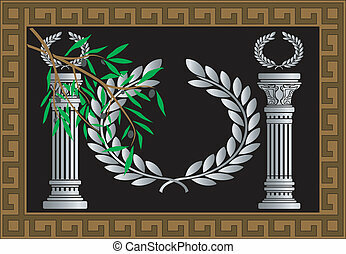 Seamless pattern with ionic antique greek colonnade.